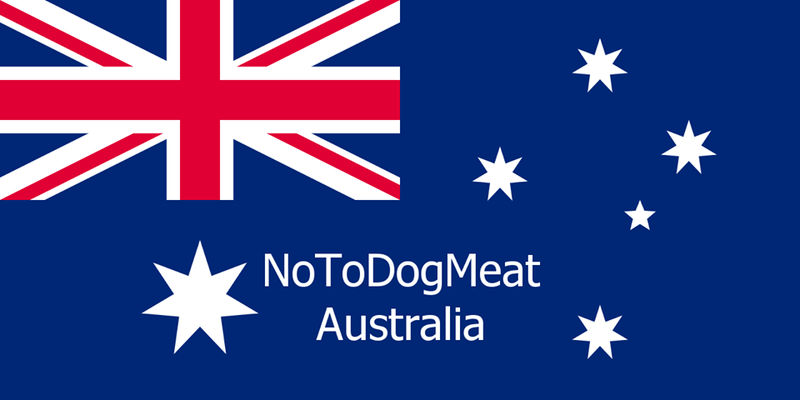 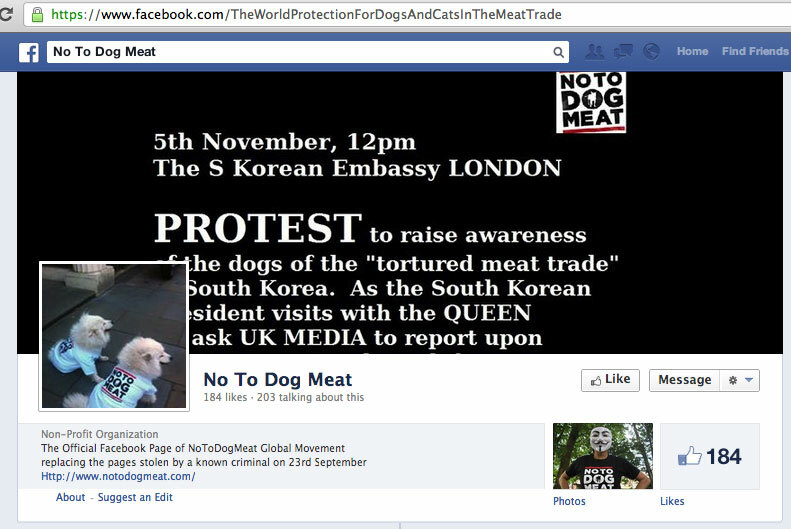 Who is No To Dog Meat? 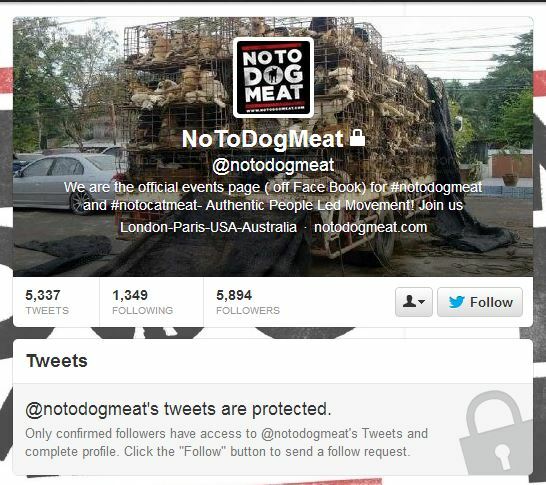 | and who is The World Protection for Dogs & Cats in the Meat Trade? 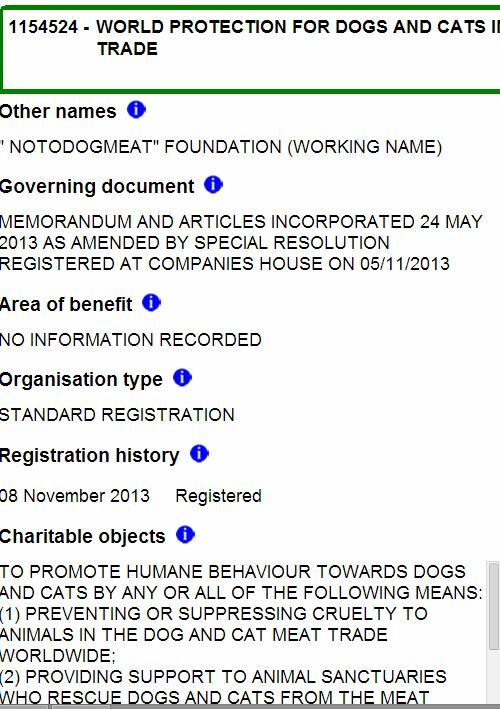 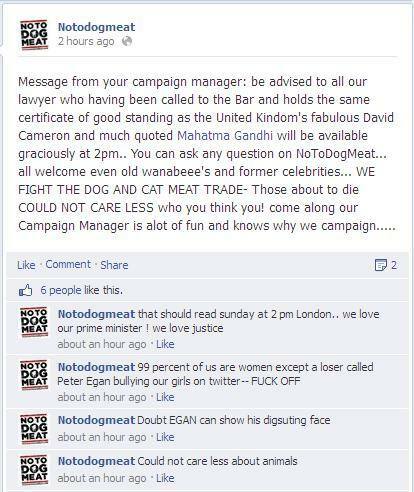 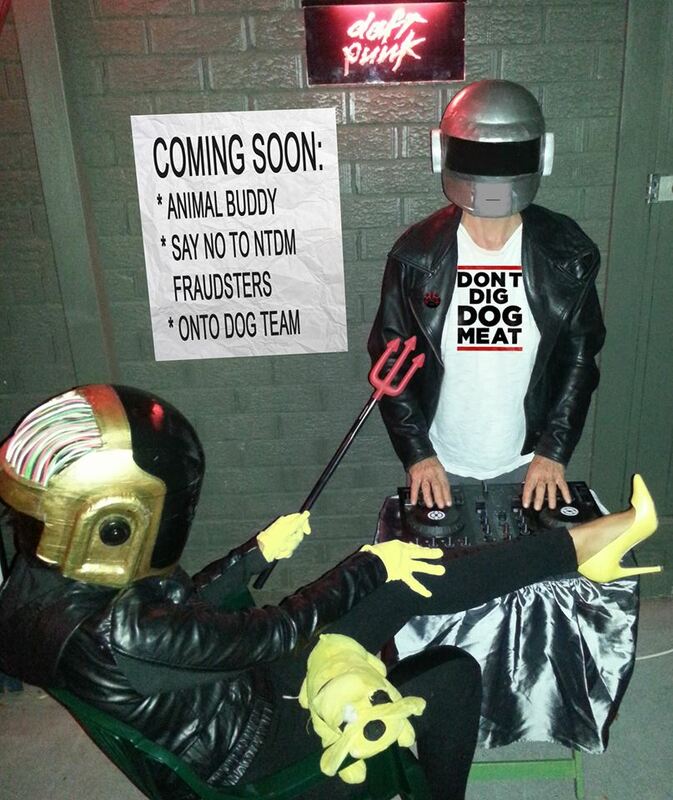 The site https://whoisnotodogmeat.com/ chronicled events from 2013 to early 2015 regarding the UK registered charity #1154524 World Protection for Dogs and Cats in the Meat Trade (WPDCMT), also known as No To Dog Meat (NTDM). 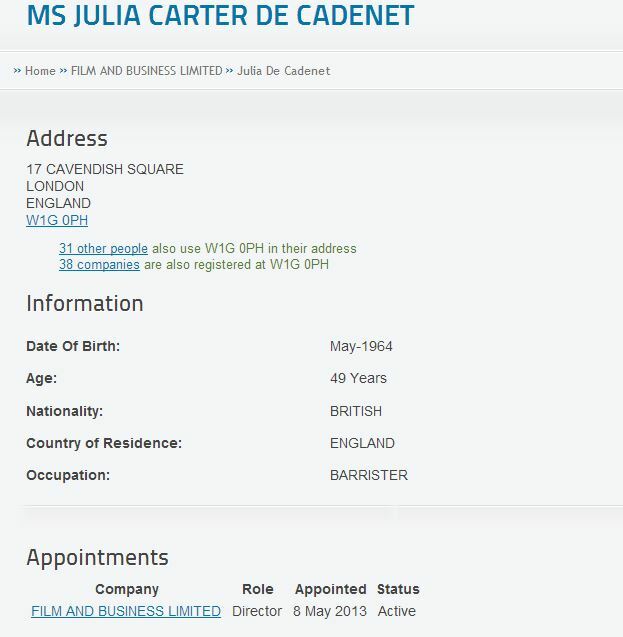 Interesting to note that the only original management team left from those infamous days of ‘dirty tricks’ are two of the original trustees, Ms Julia de Cadenet and Mr David Merrill. 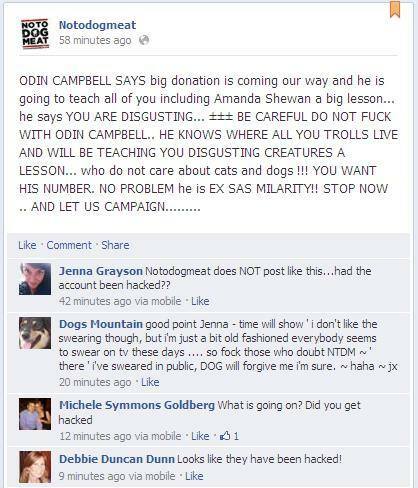 ‘Others’ that were blamed by the charity for bringing it into disrepute have left. 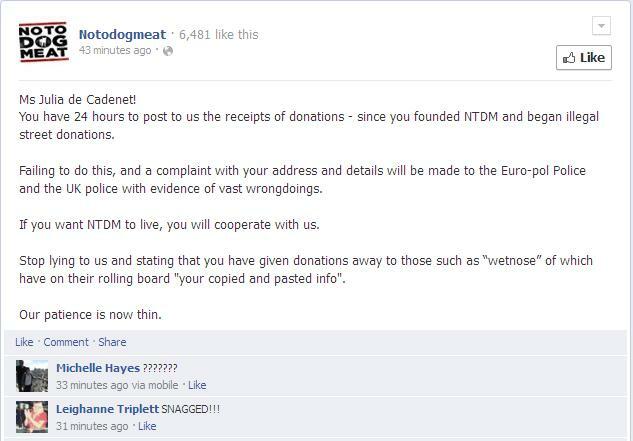 Therefore, the only reasonable conclusion that the public can draw is that the appalling behaviour of the charity, since inception in May 2013 until now, can only be firmly laid at the door of Ms de Cadenet and Mr Merrill. 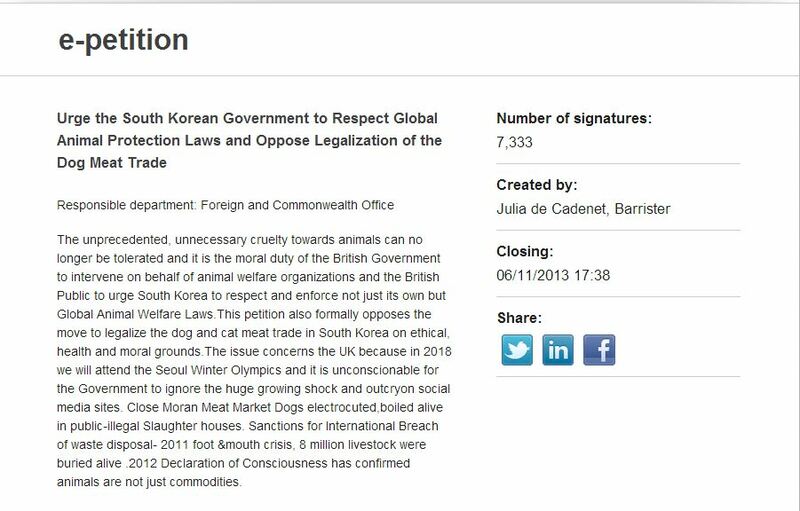 If you have listened to those clips, then know this, John Williamson did not put the whole conversation up, and because of this people have turned against No To Dog Meat. 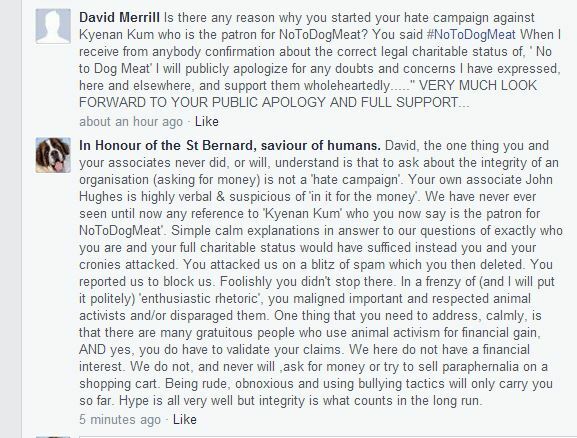 Without knowing the full truth of what led to certain things being said. 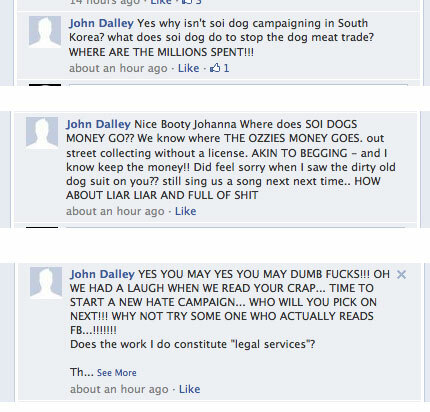 Amber has been falsely accused of editing the recordings; she had no knowledge of them until she heard them on YouTube. 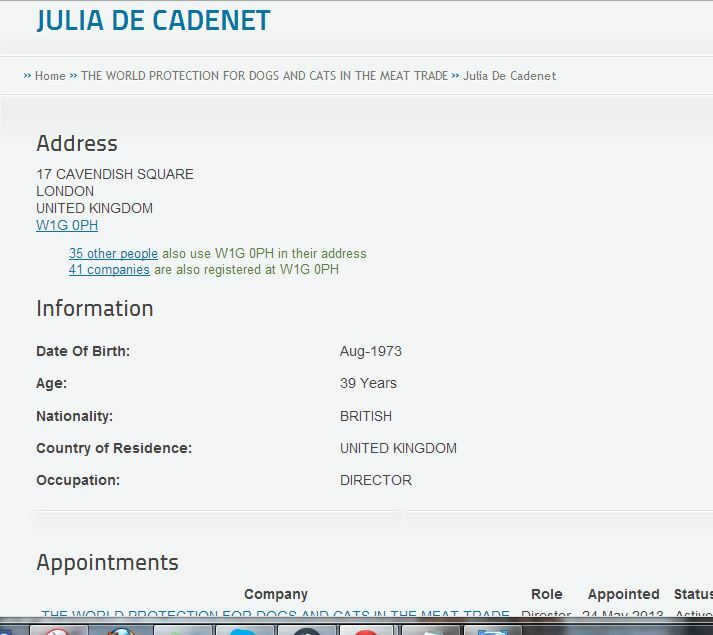 Her job does not include audio work and she has no experience of ever editing recording clips. 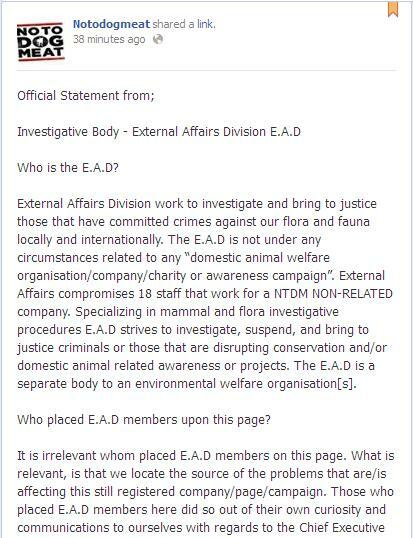 The writer of the blog, Mary Robbins (of Walker, Trinity, Texas – https://www.facebook.com/BeyondTheRobbinsPlane) simply made it up to implicate Amber in a bogus association. 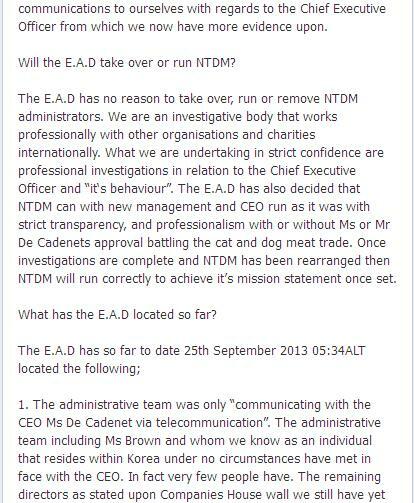 For the record, Amber has no affiliation whatsoever with IARF, NTDM, or SNTDM. 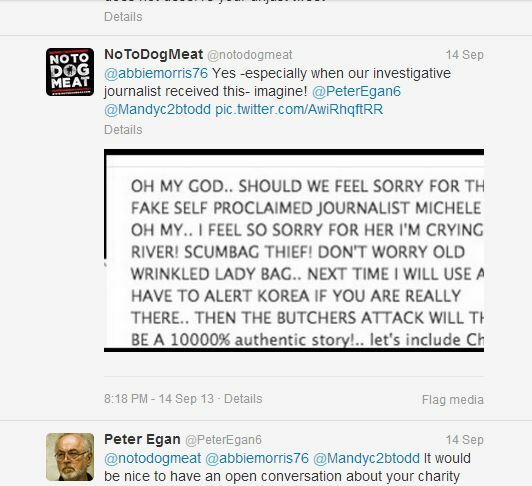 Incidentally, Mary Robbins has been writing numerous malicious blogs about Amber since October 2013. 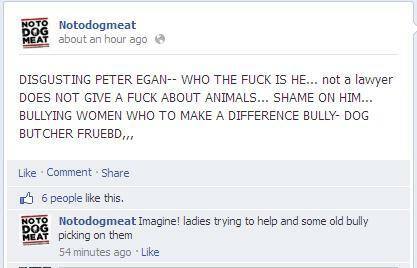 More on that subject later. 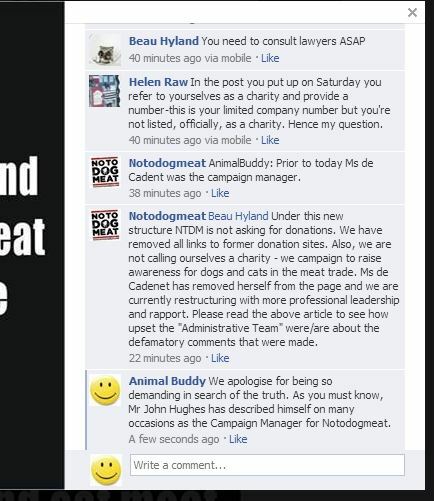 Now, since the writer of the defamatory report has publicly ‘opened the door’ to these recordings, the public should have the opportunity of judging for themselves if they believe they could have been edited to put words into Ms De Cadenet’s mouth. 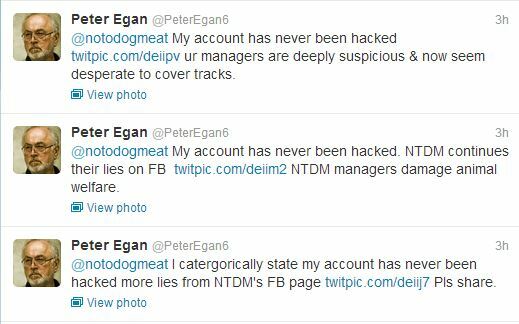 I have therefore decided to republish them. 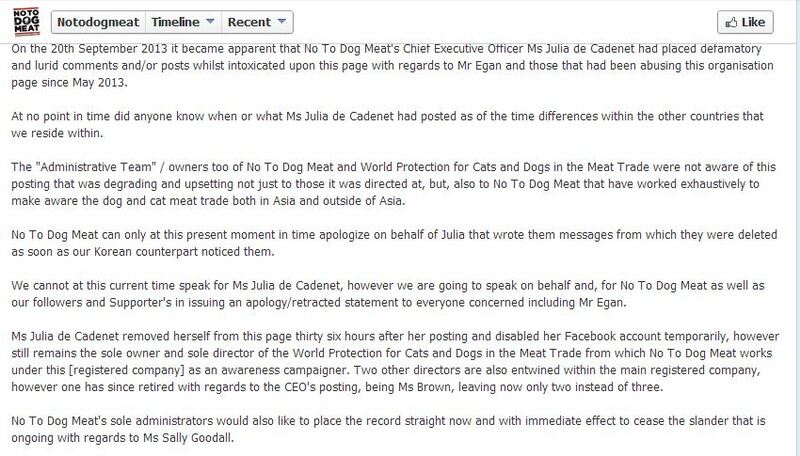 The writer of the report is in no doubt as to the identity of the woman, she is in fact a close friend of hers and was the official blogger for the No To Dog Meat charity, but she seems to believe that ‘Jose’, the man talking to Julia de Cadenet, is Jon W.
NB The woman is heard quite clearly in one of the recordings begging Jose to record her words. 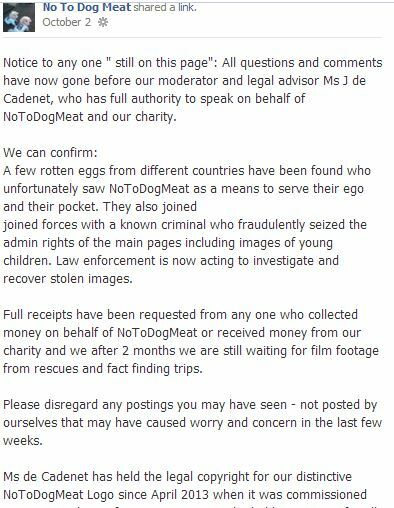 The reported collusion between Mr Peter Li, employee of the charity ‘Humane Society International’ and the renegade UK charity, known as ‘No To Dog Meat’, to intimidate the elderly Mrs Yang is more than concerning. 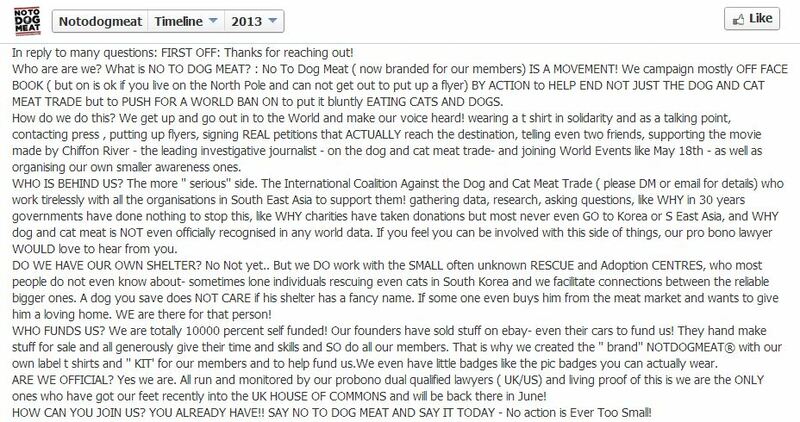 In spite of the best efforts of Mr Li and the trustees of ‘No To Dog Meat’ to defame Mrs Yang, the bad taste left in the mouth is related to Western charities and fundraisers attempts to exploit the trade in dogs and cats for meat and fur to build their own donor portfolio. 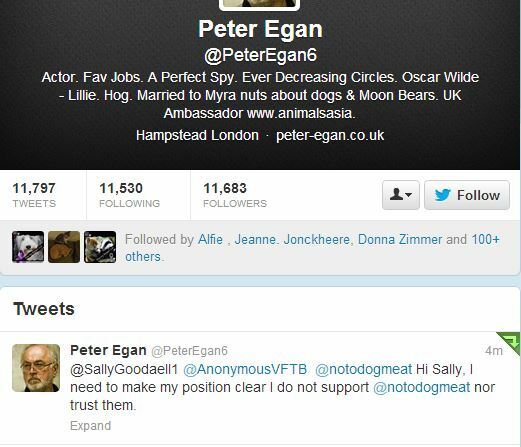 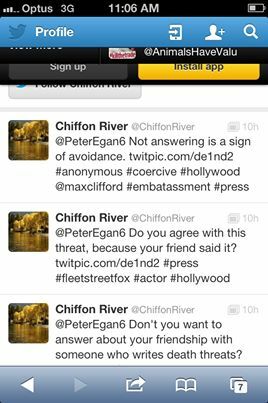 Whatever has induced Mr Peter Li to participate in supporting the tinpot UK charity to cheat Mrs Yang of money, donated to alleviate the suffering of her rescues, can only be viewed now as him also colluding with the ressurected alliance between the UK charity head and the bogus FB ‘organisation’ known as,’ IARF’, run by Jon Williamson, convicted Norwich UK petty arsonist, who postures as ‘Dr Jose Depre’. 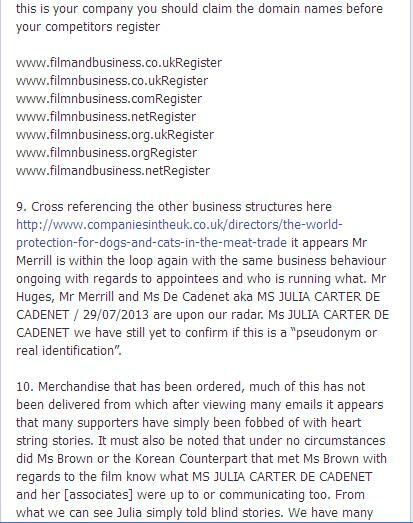 While being deeply saddened to learn of Mrs Yang’s plight we are not surprised to read the series of blogs from https://charityobserver.wordpress.com about the truly evil smear campaign of Mrs Yang, launched by the management team of UK charity ‘World Protection for Dogs and Cats in the Meat Trade’ AKA ‘No To Dog Meat. 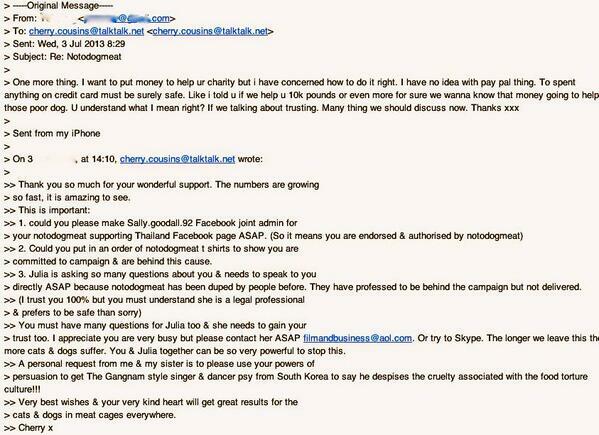 When a Ms Sophie Ling joined the charity’s admin team we hoped that she would have a positive influence on the CEO. 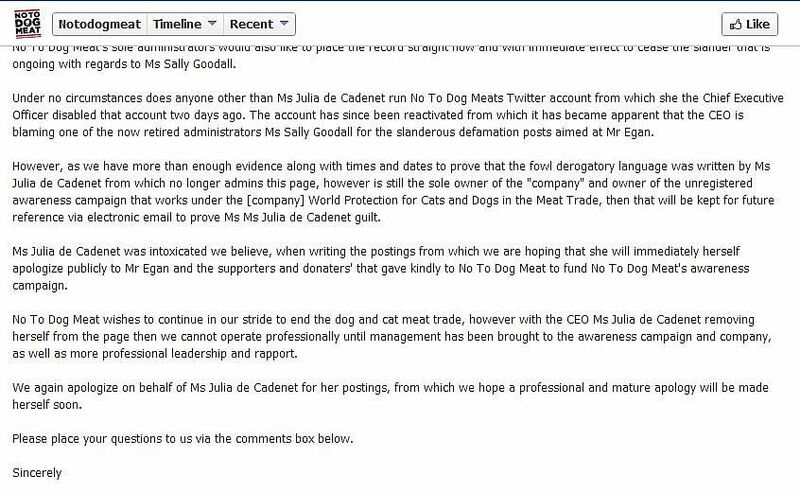 Unfortunately Sophie discovered, too late, that the CEO was ‘not for turning’ from her highly questionable behaviour as a charity head. 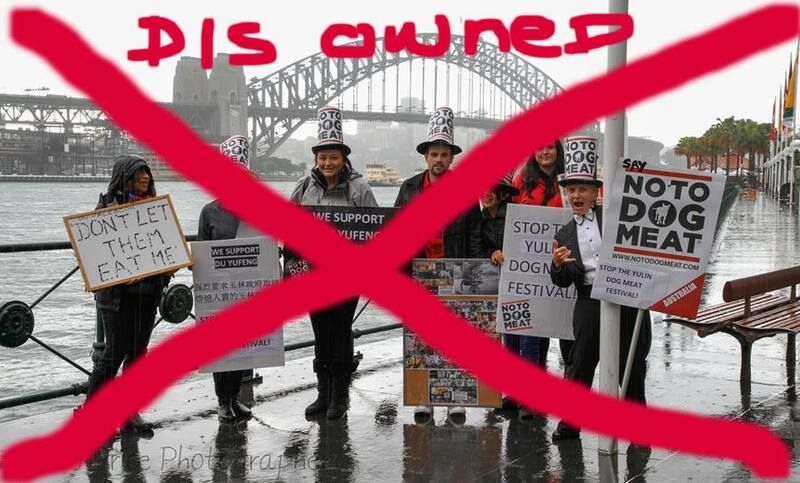 Sophie was forced to resign her volunteer post in protest at the charity CEO tinkering with a restricted fund on Total Giving for Mrs Yang, a rescuer of cats and dogs in China. 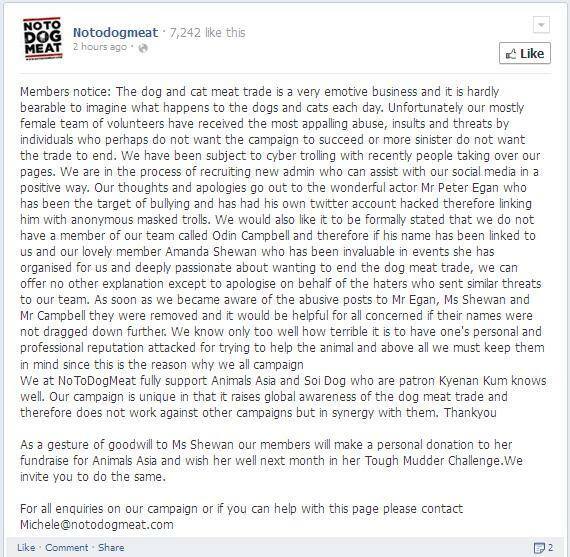 Past readers of our blogs will know the unsavoury history of the charity; they will have listened to the two recordings of the conversation, between Ms Julia de Cadenet and an ex NTDM team member, where she is heard ‘promising to destroy’ Peter Egan and Jill Robinson of Animals Asia and threatening to pay to have her ex trustee killed. 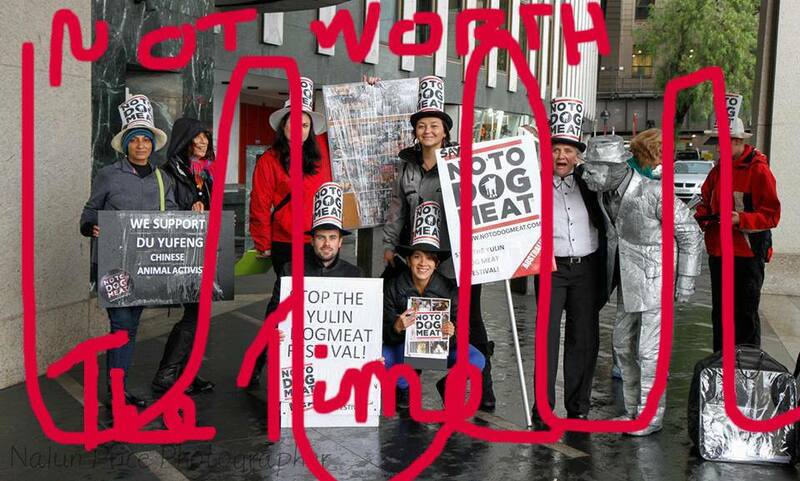 If you haven’t heard the recordings they can be found on this link: https://whoisnotodogmeat.com/2015/03/31/rebuttal-of-lies-posted-on-a-ripoff-report/ where you will see that Mrs Yang is not the first person to be subjected to a smear campaign by members of the NTDM team and she will not be the last if the charity gets away with these obnoxious tactics to defame Mrs Yang. 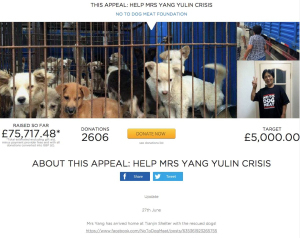 If you are one of thousands of people aware of the “Dog and Cat Meat Trade” in Asia and beyond, it is likely you have come across the story of Mrs Yang. 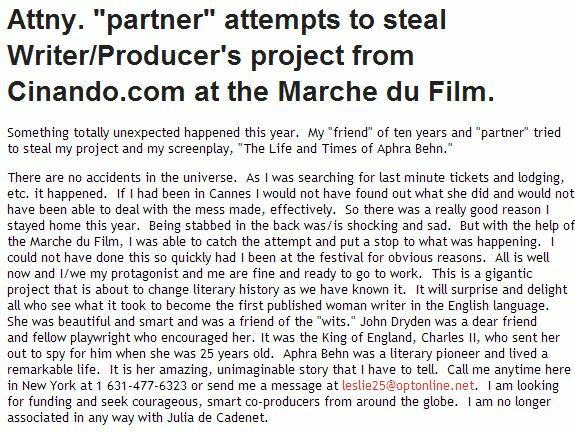 If not you can read about her in this article published by the Daily Mail on June 18th 2015. 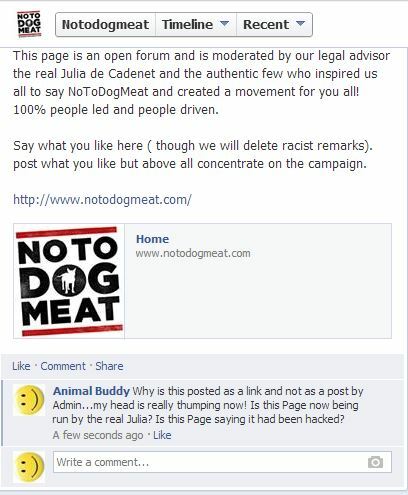 Please note that the article contains graphic photographs and video and may be upsetting to some people. 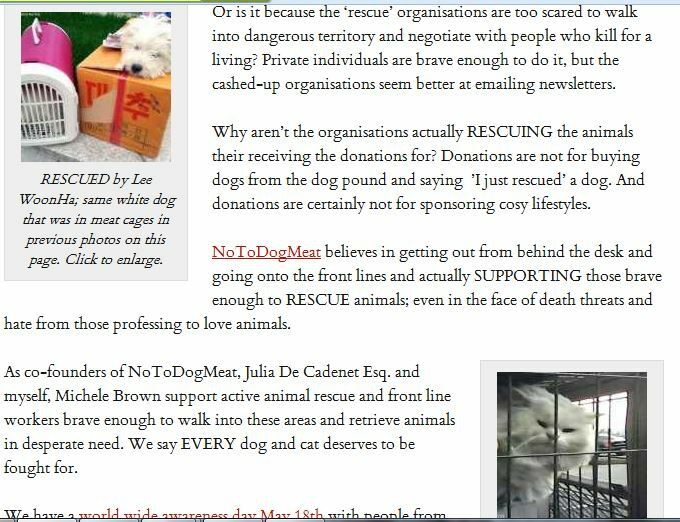 On June 13th 2015 a fundraiser was started to help Mrs Yang, by the No To Dog Meat organisation. 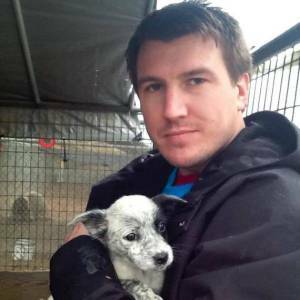 Using the Total Giving online fundraising platform, the goal was set for £5,000.00 which was achieved easily by the 14th when an anonymous donor actually gave £5,000.00. 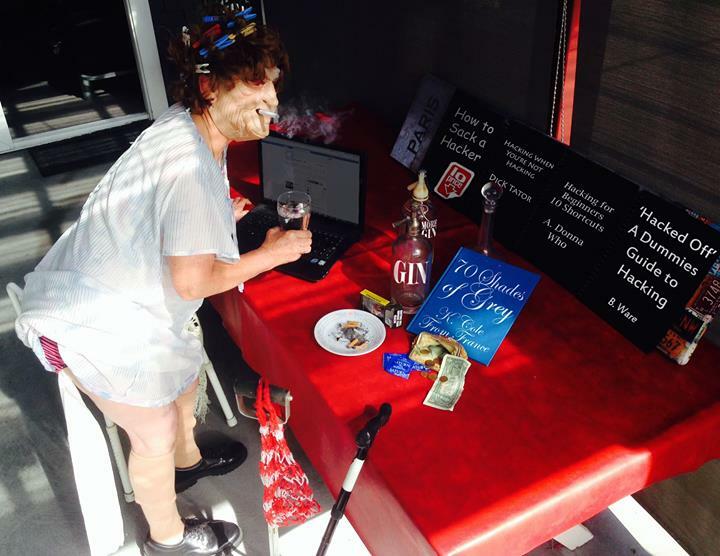 The fundraiser steadily increased to the point where tens of thousands of pounds had been raised, and in fact the fundraiser is still open, at the time of writing, for donations. 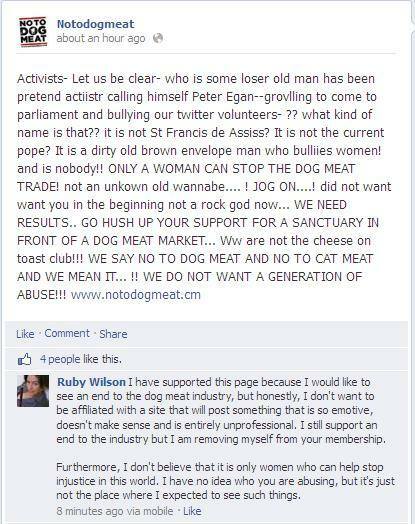 In a previous blog http://bronwizview.wordpress.com/2014/01/01/animal-welfare-hoaxing-the-role-of-social-media-and-the-impacts-on-those-involved/ I described a recent animal welfare scam. 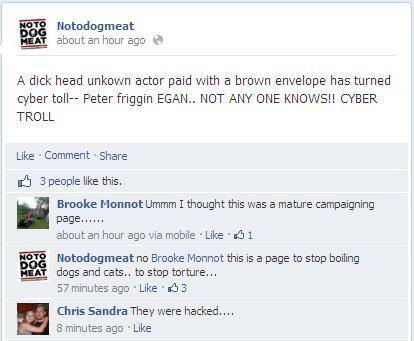 Hoaxes such as this one are worryingly common.